Gerry Barlett is my guest today. 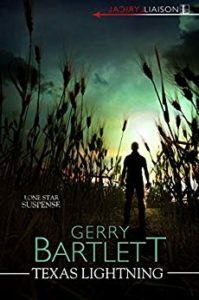 A native Texan, Gerry is the nationally best-selling author of the Real Vampire series, featuring Glory St. Clair, a curvy vampire who was bloating when she was turned in 1604. 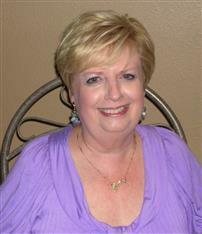 She also writes the popular Texas Heat series about the rich and powerful Calhoun oil family. Now she’s starting a new Lone Star Suspense series that promises to be filled with Gerry’s trademark sizzle and Texas charm. I can’t wait to read Texas Lightning, releasing Oct. 30, 2018. You can pre-order Texas Lightning at Amazon for only $2.99! Gerry sat down with me for a chat and to answer a few questions about her new series. You’re writing a new romantic suspense series for Kensington Publishing and Texas Lightning is the first book. Can you tell us a bit about it? When will it release? Texas Lightning is the first in the Lone Star Suspense series and all of the books start in Austin. I’ve taken secondary characters from my Texas Heat series and used them in this suspense series. That’s been a lot of fun. In this book King Sanders from Texas Fire runs into Anna Delaney, a Boston transplant who is sightseeing in the Texas Capitol building. Austin is having a January heat wave and Anna isn’t dressed right for it. She almost faints in his arms. A romantic beginning?Right. Except Anna has invented a computer program that some pretty evil men are after and things start happening right away that put this couple on the run. The book will be out October 30. Happy Halloween, y’all. You have deep ties to Texas. Why do you enjoy writing about Texas so much? I was born and raised in Houston and still live just a few miles south of there. I see so many people who have never lived here writing about my state that I love so much. We’re quirky and proud of it. Why shouldn’t I jump on the bandwagon? I’ve known so many interesting characters all my life and can hear that Texas twang when I write. I think it’s a gift that I must take advantage of. It’s a pretty common answer but so true—I was reading books that I didn’t feel were as good as they should be. One day I decided that I just had to try my hand at writing my own stories. And, no, I didn’t write as a kid. I was an adult with a teaching career when I started writing. It took me a long time and a lot of rejections before I sold my first book, a romantic suspense, in 1998. I am addicted to shopping which I put to good use in my antiques business. I have booths in two antique shops—one in Alvin and one in Galveston. I love to bargain hunt at estate sales and thrift shops. You also write your wildly successful Real Vampire series. I love that your main character, Glory St. Clair, is full-figured. Why did you decide to go that route? A friend made that suggestion when I first started writing the series, and it was something that I could totally relate to. I fight the battle of the bulge myself constantly. Real Vampires Have Curves came out in 2007, and I’m still writing Glory’s stories. The latest book, Real Vampires: When Glory Met Jerry was number fourteen in the series. It was a prequel set in 1604 London. I’ve been very lucky that my loyal fans have stuck with me this long. I’m writing the third in the Lone Star Suspense series now, Texas Tough. Book 2, Texas Trouble, is already finished, but no release date yet. I’m also at work on Real Vampires and a Highland Christmas which should be out by December. This is another prequel set in 1604 England and Scotland. Those projects are keeping me busy. Thanks for asking, Christie! This has been a fun interview. The winner of Sharla Lovelace’s Charmed at First Sight is Barbara Heintz. Please email me at Christie@christie-craig.com and let me know if you prefer the Kindle or Nook version.